Join The WBNQ Text Club! Keep in touch with your favorite station! You’ll be able to text in requests, win contests, and chat with the DJ’s! Just text WBNQ to 30218 and join now! 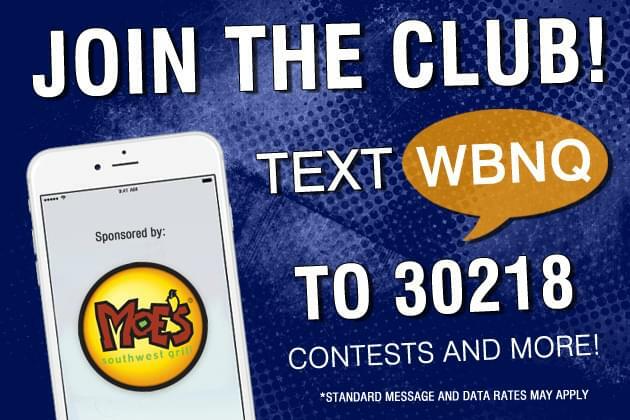 The WBNQ Text Club is sponsored by Moe’s Southwest Grill!